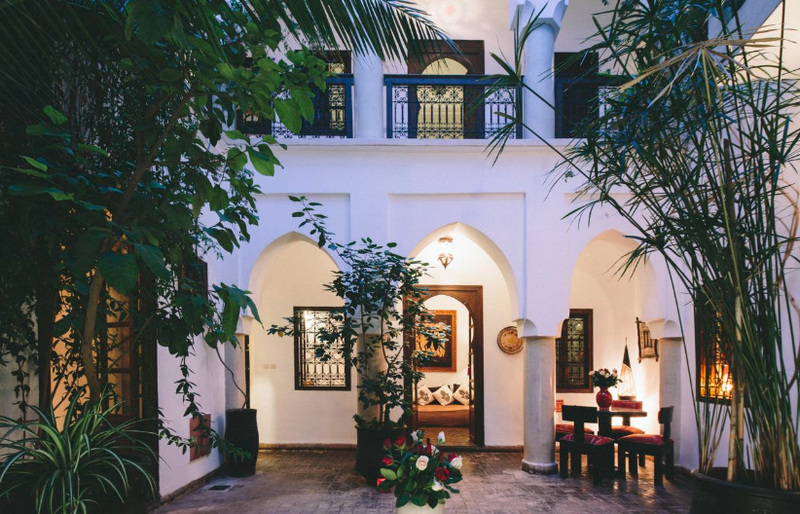 If you travel to Marrakech intending to experience the city in the most authentic way possible, you can definitely not do without booking a stay in a riad. You will be spoilt for choice, since by now, there are about 1000 traditional town houses that have been turned into hotels. 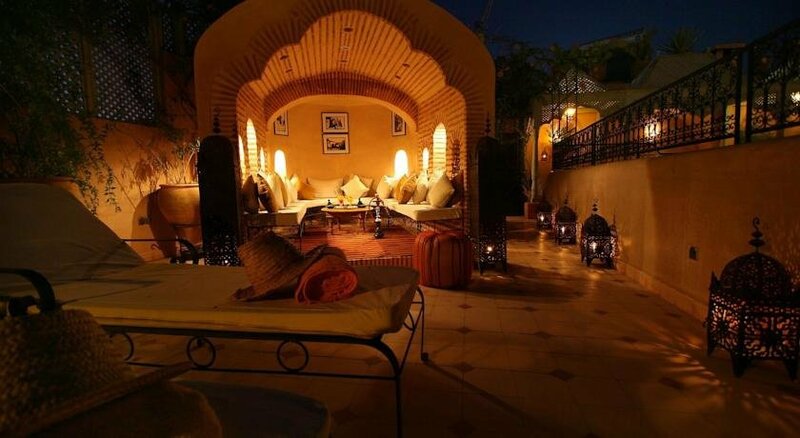 The word “riad“ is derived from from the Arabic word for garden. It is used for big town houses or palaces in which the rooms are arranged around a courtyard (atrium) which often comprises a little garden. In traditional Islamic architecture, wealth is not shown on the outside but in the interior so that behind plain ochre walls little paradises can be hidden. Almost all important sights of Marrakech are within walking distance in the medina, so look for a riad in the historic city centre to avoid unnecessarily long ways to walk and save money for taxi rides. The closer your accommodation is to Jamaa el Fna, the better. Who wants to wander around alone in the medina at night, having lost your way to your hotel? I personally prefer the southern part of the medina when I stay in Marrakech, more precisely, the area around the two streets Riad Zitoun el Lakdim and Riad Zitoune El Jdid. 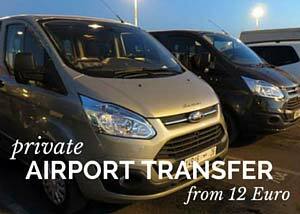 From here, it is not far to the bus station and Jamaa el Fna can be reached in less than 5 minutes on foot. In the northern part of the medina, the Mouassine-quarter is beautiful and you will find a lot of riads there, too. The area around Bab Doukkala is quite far from Jamaa el Fna, but can be recommended for stopovers, since it is only a couple of metres from the central bus station. It is difficult to recommend single accommodations: Owners, staff and management often change too quickly, new riads are opened, older ones close down. 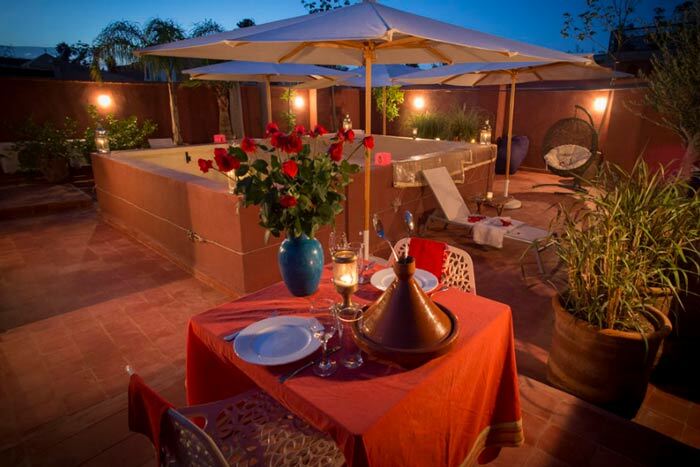 That is why the following tips are rather meant to offer a starting point for your own search for your perfect riad – since, as as an established truth, taste and budget differ sometimes. All hotels recommended here are located rather centrally and gained very good ratings on Booking.com. They are listed according to price levels here. 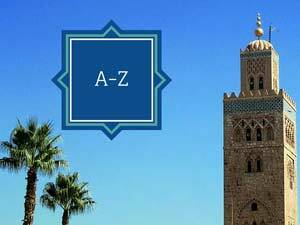 Find many more recommendations and good suggestions in the Marrakech Riad Guide! By now, free WiFi is a standard in almost all accommodations. 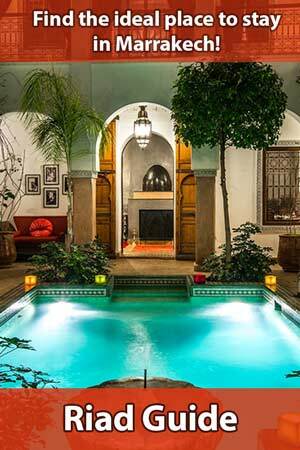 Apart from the numerous riads, there are of course, plenty of other hotels in Marrakech which are located not far from the medina in the new town or in the outskirts offering larger swimmingpools. Backpackers and Low-Budget-travellers can still live for very little money in Marrakech and find cheap rooms in the medina in simple but authentic and tastefully decorated hotels like Sindi Sud. you may need a credit card to book some of the riads.